With the accelerated development of optical network, there exist more and more capacity-hungry applications in 10G networks today. To solve this problem, experts put forward the 10G to 40G connection as an ideal solution. However, due to the high migration cost, we are prevented from making the migration. Do you also meet this issue? 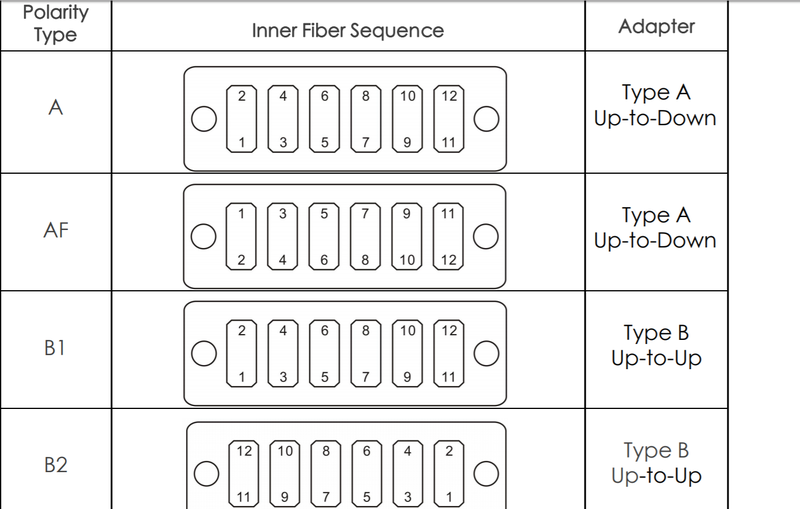 In this paper, it will offer several sfp+ & qsfp solutions to realize 10G to 40G connections with less cost. Hope you can find one that suits your network. How to make a short link between 10G and 40G switches? 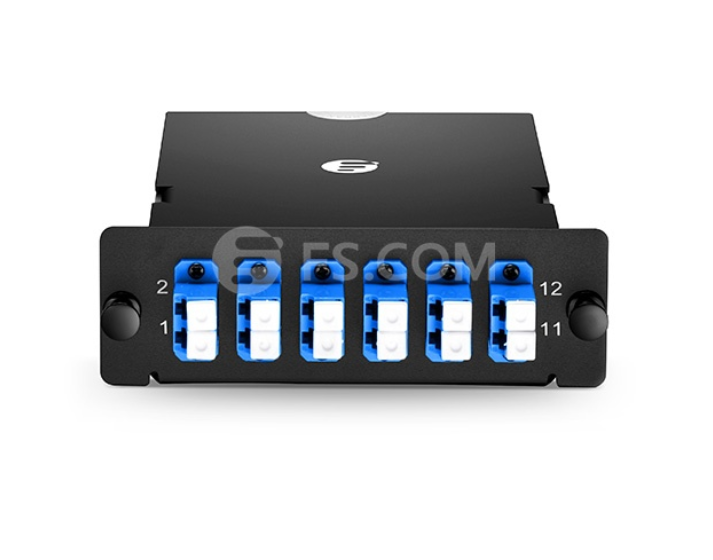 You can choose the 40GBASE-SR4 QSFP module that supports the 40G network at length up to 150 m. Meanwhile, four 10GBASE-SR SFP+ modules are required. So is the MTP-LC harness cable for connecting QSFP+ and four SFP+ modules. In details, FS.COM offers OM3 MTP-LC harness cable supporting 40G connection up to 100 m and OM4 up to150 m. All these equipment mentioned above are available at FS.COM with good prices. For the details, you can learn from the following table. If the link distance is longer than 150 m in your network, 40GBASE-CSR4 QSFP module may be a better choice. It can transmit the 40G signals longer, up to 400 m. As for the fiber patch cable, you can still choose OM3 or OM4 MTP-LC harness cable. 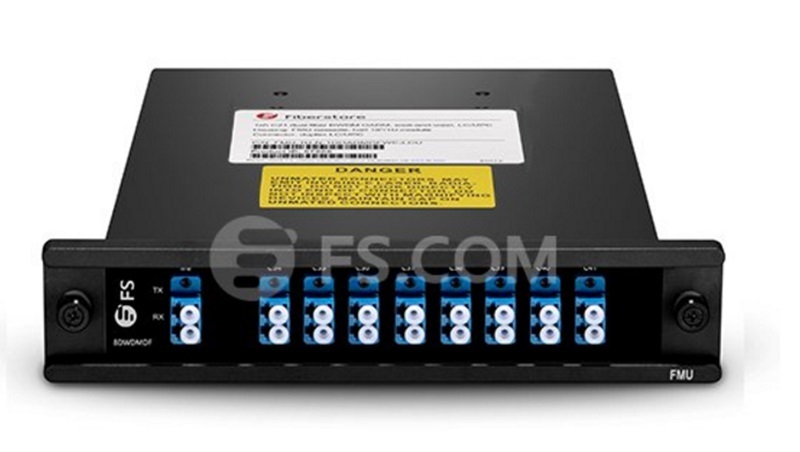 In general, the OM3 provided by FS.COM enables the connection up to 300 m, while OM4 up to 400 m. When making a short 10G to 40G migration, you can just choose FS.COM as an ideal fiber optical manufacturer. 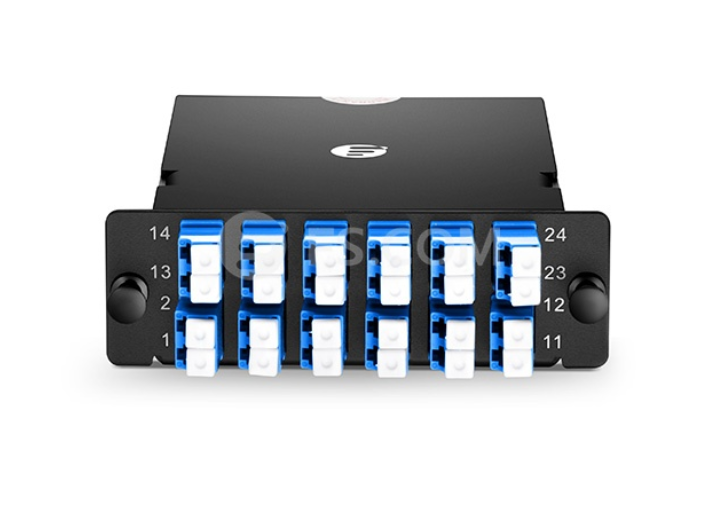 It offers all the equipment your network needs, including 10G and 40G switches, SFP+ and QSFP module and MTP-LC patch cable. Do you need to make a long 10G to 40G migration? FS.COM also offers several cost effective solutions. For example, up to 1km, 10km, 40km or even 80km 10G to 40G connection solutions. Let’s talk about the detail information of these solutions. You can use the 40GBASE-PLRL4 QSFP and 10GBASE-LR SFP+ modules to support the 10G to 40G migration up to 1 km. The 40GBASE-LRL4 QSFP+ is also a good choice. 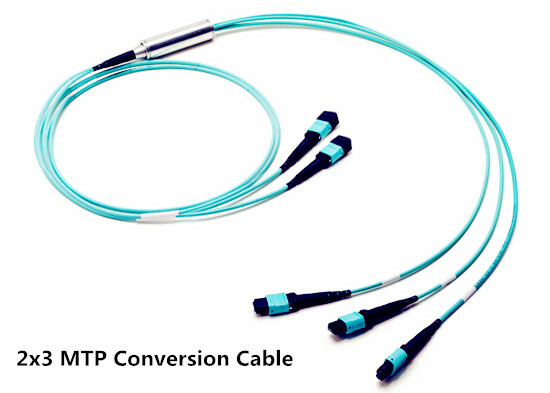 As for the fiber patch cable, you can choose the 8 fibers single mode MTP-LC harness cable. Once the distance is longer than 1 km, your are suggested to use the 40GBASE-LR4 QSFP and 40GBASE-PLR4 QSFP modules. 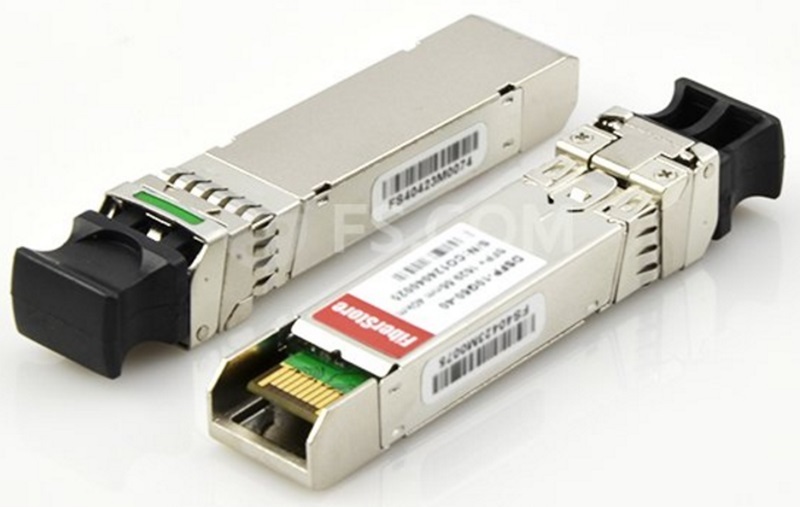 These two kinds of fiber transceiver modules enable the connection at lengths up to 10 km. It the link distance is up to 40 km, then you can use the 40GBASE-ER4 QSFP module. Here are the related equipment offered by FS.COM. Have you ever felt puzzled about whether the 10G to 40G connection can be extended to 80 km? Here you’ll find the answer is yes. How to deploy 80km 10G to 40G connection? You should add the extra equipment, including two DWDM Mux Demux, two WDM transponder OEO (Optical-Electrical-Optical) repeaters and several DWDM SFP+ modules, to your network. In order to make a smooth 80km 10G to 40G migration, we should add the WDM transponder OEO repeater into the 10G to 40G link. It can not only act as fiber repeater for long distance transmission, but also CWDM/DWDM optical wavelength converter. When the 10G signals pass through the WDM transponder OEO repeater, it will be converted into several DWDM singals. Then you should use the DWDM Mux Demux to multiplex, transmit and demultiplex them. And finally another WDM transponder OEO repeater is required to convert the DWDM singals into 10G signals again. Hence, you can finally achieve the up to 80km 10G to 40G connection. As for the equipment the network requires, you can also order them from FS.COM with good prices. FS.COM is an ideal fiber optical manufacturer that offers very cost effective qsfp, sfp+ and other solutions for 10G to 40G connection. These solution can support not only the short 10G to 40G migration at lengths up to 400 m, but also the long migration with reach 1km, 10km or even up to 40km. 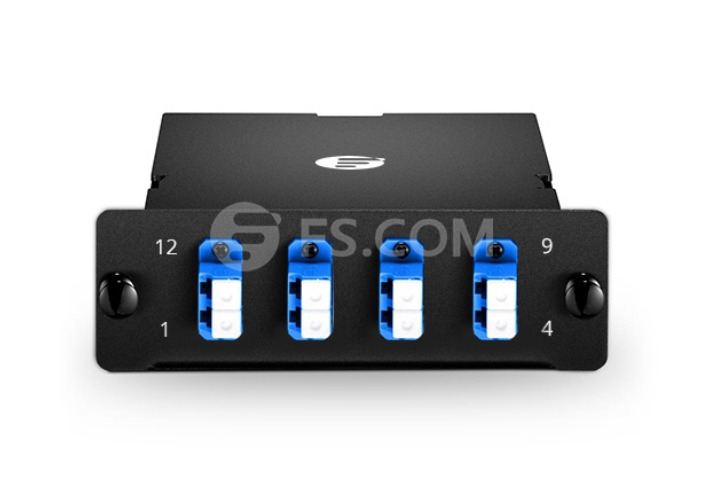 Moreover, if you want to extend the 10G to 40G connection up to 80 km, you can order the extra equipment like DWDM Mux Demux, WDM transponder OEO repeaters and DWDM SFP+ modules from FS.COM with good price. All the equipment mentioned above have been tested to assure 100% compatibility. This entry was posted in 10Gbps Networks, 40Gbps Networks and tagged 100G QSFP28 PSM4, 40g to 10g, QSFP+ module, sfp+ module on May 5, 2017 by Katherine.Wang. Although the 10G and 40G Ethernet network still occupy the majority of fiber market at present, it is predicted that more and more users would deploy 100G Ethernet network in the following years for higher capacity and faster transmission data rate, and the 100G cabling network would finally make the 10G and 40G cabling network obsolete. Is there any evidence to support this prediction? Why to replace 10G and 40G cabling network and how to deploy the 100G cabling network? Does this statement take the cost issue into consideration since the 100G products like QSFP28 transceiver and QSFP28 breakout cable are much more expensive than the 10G and 40G products? Let’s talk about these topics and find the most cost effective way to deploy the 100G cabling network. Why We Deploy 100G Cabling Network? With the fast development of fiber technology, the capacity and transmission data rate that the 10G and 40G networks offer gradually can’t meet our needs and the Ethernet network is still driven to satisfy the increasing requirements of faster and easier access to larger volumes of data. Under this trend, the 100G network is come up with that enables unsurpassed bandwidth but can be only available at a high price. As the 100G technology is gradually matured, the cost for 100G network deployment is reduced a lot. Hence, more and more users would like to deploy the 100G network for bigger bandwidth, even it would still cost higher than 10G and 40G network deployment. Which Transceiver Is the Best for Deploying 100G Network? Before designing the 100G cabling network, we should choose the most proper 100G fiber transceiver to greatly ensure the performance of the network. Since there are four common kinds of 100G fiber transceivers–CFP, CFP2, CFP4 and QSFP28 transceiver available on the market, let’s study the basic knowledge of these 100G transceivers and discuss which one is the best choice for the 100G network deployment. CFP transceiver is the first version of 100G transceiver which is published after the establishment of certification for the first 100G standard for Ethernet networks. The letter “C” means 100G, while the letters “FP” stand for Form factor Pluggable, just like the “FP” in the word SFP. In order to support the 100G network, it features very huge size which is much larger than 40G QSFP+ transceiver. Meanwhile, most of the CFP transceivers double the power consumption per bit and are ten times more expensive for per bit increased. All these shortcomings hinder the popularity of CFP transceiver and make the CFP2 and CFP4 transceiver published successively. The CFP2 and CFP4 transceiver has no any improvement in the aspects like density, power consumption and cost, but be only advanced in the size aspect. From the following figure, you can learn that the size of the CFP family become more and more smaller. However, due to the high power consumption and cost, using CFP family to deploy 100G network still can’t meet the network requirement. Under this condition, experts put forward the QSFP28 transceiver solution which is much smaller and more economic than CFP family. In contrast to the CFP family, QSFP28 transceiver is a better choice that offers four 25-Gbps lanes, totally achieving the whole 100G network. With use of this kind of 100G transceiver, the 100G network can be deployed as easy as the 10G and 40G network. Moreover, it completely eliminates the costly gearbox found in CFP and CFP2, while highly increasing density and decreasing power and price per bit. Hence, among all the 100G transceivers, the QSFP28 transceiver is the first choice for deploying 100G network, which should be considered as the most economical transceiver solution. Which 100G Cabling Solution Should Be Selected? After choosing the best 100G transceiver solution, it is also necessary to design the 100G cabling network. At present, there are basically two 100G cabling solutions. One is the direct cabling solution usually working with the QSFP28 cable, and the other is the breakout cabling solution that always uses the QSFP28 breakout cable. 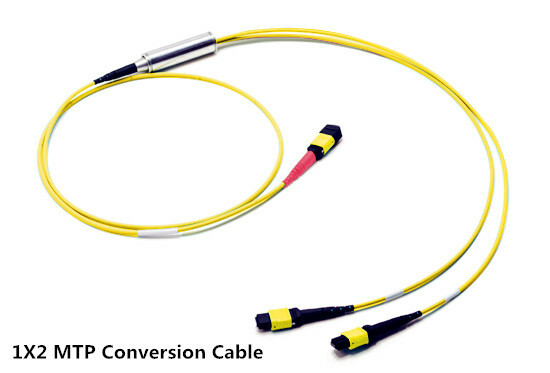 Considering that each solution has its own connection method and works with different fiber or copper cable, which one should be selected depends on the practical application. As for the 100G direct cabling solution, it always uses the 100GBase-SR4 QSFP28 transceiver to finish short distance transmission, and 100GBASE-LR4 QSFP28 transceiver for long transmission. In short transmission case, the 100GBase-SR4 QSFP28 transceiver can support the 100G network through OM3 12 fiber multimode MTP cable at lengths up to 70 m, and 100 m through OM4 12 fiber multimode MTP cable. It can also work with the 100G QSFP28 to QSFP28 passive direct attach cable (DAC) for up to 5m transmission and with the 100G QSFP28 to QSFP28 active direct attach cable (AOC) for up to 10m transmission. While in the long transmission case, 100GBASE-LR4 QSFP28 transceiver enables the 100G network up to 10 km on single-mode LC patch cable. If much longer transmission distance is required, you are highly suggested to choose the 100GBASE-ER4 CFP transceiver that can transmit the 100G signal at lengths up to 40 km. As for the breakout cabling solution, the connection method is very different from the previous one, which usually use the QSFP28 breakout cable to connect one QSFP28 transceiver on one side and four SFP28 transceivers on the opposite side. 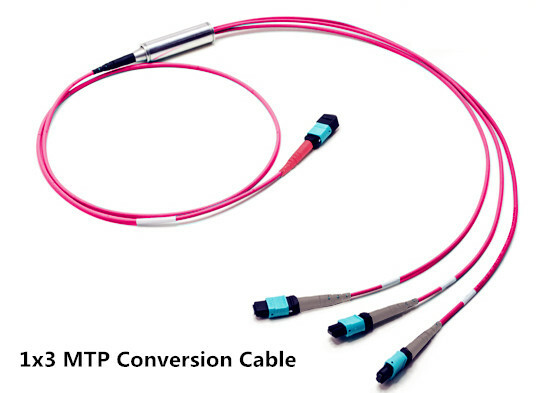 This kind of 100G cabling solution enables higher port bandwidth, density and configurability at a low cost and reduces power consumption in data centers. Besides, the QSFP28 breakout cables used for 100G breakout cabling can be simply divided into two types, QSFP28 to 4SFP28 DACs and AOCs. 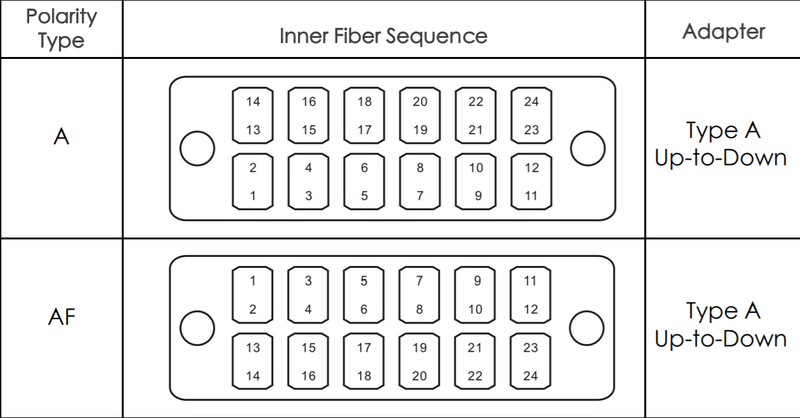 Both of the two kinds of QSFP28 breakout cables feature four individual 25G duplex cables to achieve 100G connections, similar to the 40G QSFP+ breakout cable that has four individual 10G duplex cables. With the gradual mature of 100G Ethernet technology, the cost issue is not the obstacle for the popularization of 100G Ethernet network any more. If your network has a very low transmission speed and the capacity it offers can’t face your need, then you are recommendable to upgrade your network from 10G/40G to 100G, for faster and easier access to larger volumes of data. As for the transceiver used for 100G connection, the QSFP28 is the fist choice as the most cost effective solution at present. As for the 100G network cabling, the direct cabling for 100G to 100G connection and the breakout cabling for 100G to 4×25G connection are good solutions for 100G network deployment. Which one should be selected just depends on the practical application. This entry was posted in 10/40/100Gbps Networks, 100Gbps Networks and tagged QSFP28 breakout, QSFP28 transceiver on March 29, 2017 by Katherine.Wang.